Pretium's Brucejack mine, seen here under construction in 2015. Shares in Pretium Resources Inc (NYSE:PVG) surged on Wednesday after the company announced blockbuster production numbers from its Brucejack gold-silver mine in British Columbia. During early afternoon trade the Vancouver-based producer was exchanging hands for $8.27 a share, up 19.4% on the New York Stock Exchange, in massive volumes of more than 8m shares traded. Pretium is now worth $1.5 billion. In a statement Pretium said production at the Brucejack mine in the northwest of the Canadian province hit a new high of 32,910 ounces in March. Brucejack produced 75,689 ounces in the first quarter for a total of more than 228,000 ounces of gold after nine months of ramp-up. Gold recoveries improved to 96.8% in the quarter compared to the previous three months and the mill feed grade for March was 10.9 grams per tonne gold and averaged 9.1 grams per tonne for the quarter. Pretium said it expects steady state gold production at Bruecjack, its only operating mine, to be achieved in mid-to-late 2018. Gold production at Brucejack for the first half of 2018 is expected in the range of 150,000 – 200,000 ounces, for total first year ramp-up gold production of 302,000 – 352,000 ounces. The all-in sustaining costs for H1 2018 are expected to range from $700 -$900 per ounce according to the company. 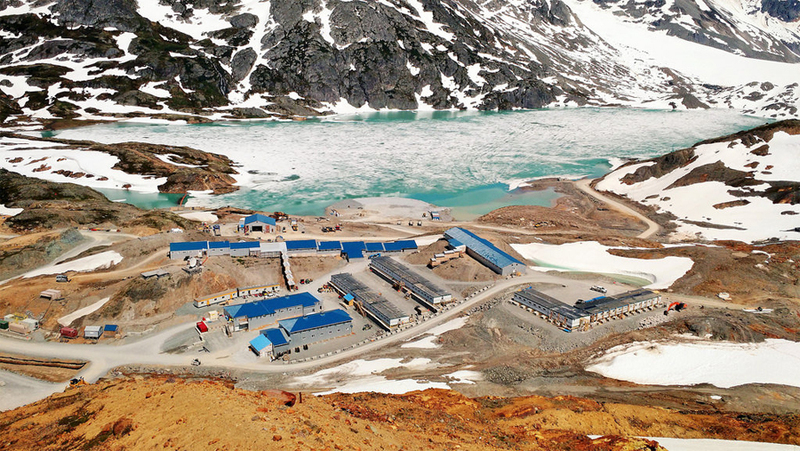 With 14.1 g/t of gold in reserves, the Brucejack mine, is one of the highest grade gold projects to enter production in recent years. Final construction costs are expected to be in the region of $1 billion with a life of mine of 18 years.